ISTEP, who could imagine that five simple letters could cause so much stress? 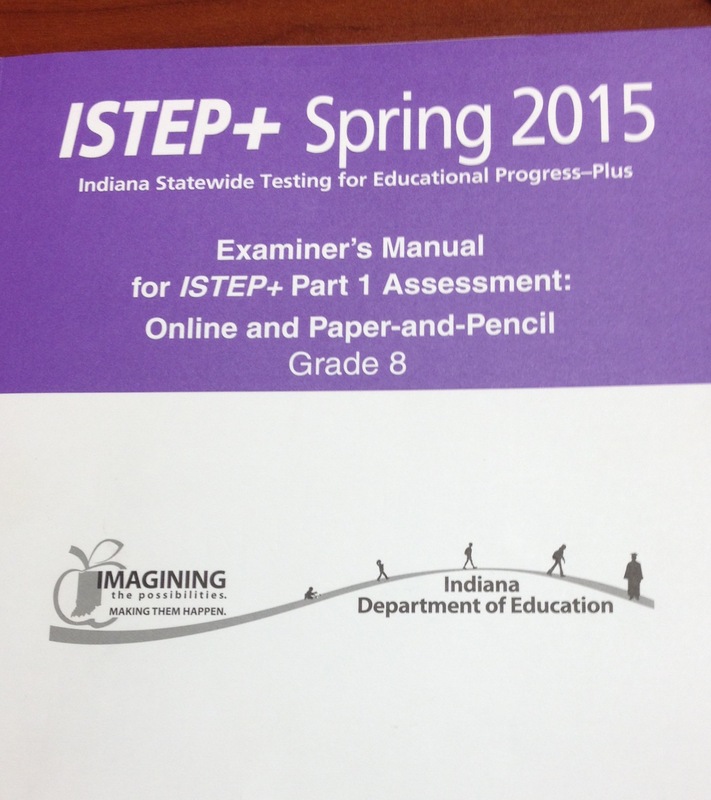 The ISTEP test has made a reappearance in high schools across Indiana. Freshmen and sophomores, even sophomores who had previously taken the ECA, had to take the ISTEP test the week before spring break. However, the scores were not counted for students who have taken, and passed the ECA. Sophomores that have not taken the ECA will take both the ECA at the end of the semester and ISTEP in both March and April. For the past year, many Indiana lawmakers have tried to replace current standardized testing with a cheaper, generic version in order to save money. “A bill just passed that has cancelled ISTEP after next year (2016-2017 year). It will be replaced by something eventually but that is unclear at this moment,” said MVHS counselor, Jamie Beaver. The Indiana Board of Education has plans to eliminate the ISTEP test within the next two years and replace it with a new test, the nature of which is undecided. According to chalkbeat.org, State Superintendent Glenda Ritz has proposed reshaping the state testing system so students would take a series of shorter tests that could be combined into a final yearly score. All public schools and charter schools get money from the state, but they have different ways of spending it. The state has higher standards for a public school, especially with standardized tests, while charter schools have more choices and freedom with what they choose to test their students over. For example, The ISTEP test ,Indiana State Test for Educational Progress-Plus, is only required for students who go to public schools. The school then receives an average score, which either benefits or is held against a public school. When in a public school almost all students test, but in charter schools you do not have to test at all, but most schools have the option to test or not to test. Proposed Senate Bill 470 will allow charter schools the ability to decide whether or not to give the ISTEP. If this bill passes, the principal of the charter school will make a decision on behalf of the school whether or not to offer the test. In public schools, parents of elementary and middle school students are able to opt out of ISTEP, but the majority of students still take the standardized test. If a child does not participate in the ISTEP, it does not affect them in any way, but it is held against the school. If a child opts out of ISTEP, the school must provide an activity for the child to complete during the school day. Public schools automatically receive a certain amount of money from the state, and have some freedom, but also have higher standards the state expects of them. Charter schools, which are also a public school, are also handed money from the state, but they don’t have to test students or be rated as a school and they get to hand pick and accept or deny students the opportunity to attend. Because they are not required to take this test, it neither benefits nor is held against the schools. The schools can still choose to test, but most do not. Because they do not test, the majority of charter schools are doing very poorly or failing. Because charter schools and public schools both receive money, they both have the choice to put it toward a variety of different things such as: educational learning tools, classroom or school equipment, or sports teams and after school activities. Most public schools are putting it towards learning, while the majority of charter schools may also be putting it towards educational learning, but because most of them not testing students, charter schools are doing much more poorly.